Ms. Boulman is of the belief that a small firm is better able to provide the personalized attention clients want and deserve. 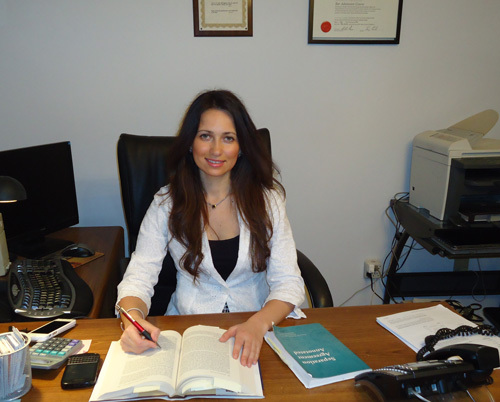 Since becoming a Member of the Law Society of Upper Canada, she has helped hundreds of people in the Region of Durham, other parts of GTA and York Region to resolve difficult family law issues. Ms. Boulman wants to help you too. At our family law firm, we have earned a strong reputation for client satisfaction that reflects the foundations of the firm’s abilities including our understanding of Divorce and Family Law issues and at least as important, our absolute commitment to your goals. We know how difficult and confusing separation can be, and we make sure that you get are informed with the information you want, when you need it. We will work closely with you every step to make sure that our effort on your behalf matches your goals and concerns.